Sample delicious cuisine, see all the iconic spots, and make new friends. 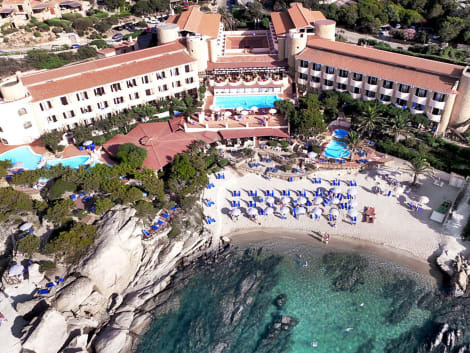 It's all so easy with our savings on Baja Sardinia last minute holidays. With that spare change, you can indulge yourself with all the best holiday treats. When you book with us, you're guaranteed the best late deals under the Price Match Guarantee. Should you find Baja Sardinia holidays at a cheaper price anywhere else within 24 hours, we will refund you the difference. Our Baja Sardinia cheap holidays are also covered by the ATOL scheme so you are protected in case your tour operator or flight carrier should become insolvent. 3:2 Spend some quality time with friends and family, try something new, and feats on the finest local dishes. With your lastminute.com savings, you can treat yourself to all the luxury extras, for the ultimate indulgence. 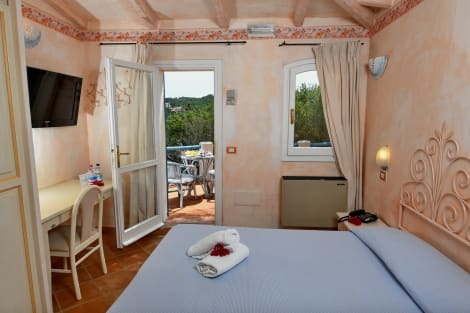 Get the best holiday deals to Baja Sardinia and plenty of other must-see locations right at your fingertips with lastminute.com. Check out all the sights in Baja Sardinia and relax knowing you've got a good deal.